The Wish School in Brazil serving children aged 2 to 4 years of age is passionate about children's' learning - and has, since January been awarded by the Edumission Challenge as one of the 10 most innovative educational institutions in the world. Spaces of welcome and retreat or reflection are included. Their belief is that education must be approached holistically - that is encompassing all elements of the individual child - emotional, social, cultural, creative, physical and spiritual. 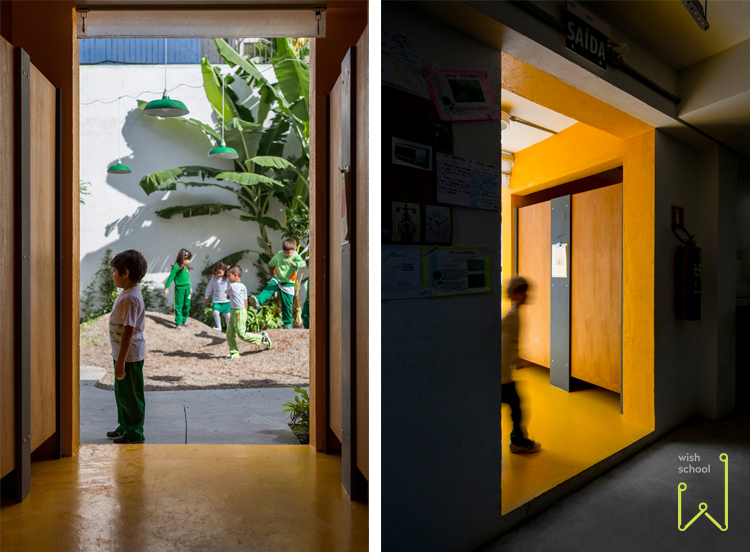 It was thus important for the environment (or architecture) to reflect or or enable the educators and students to "act out" and inhabit this vision to its full potential. 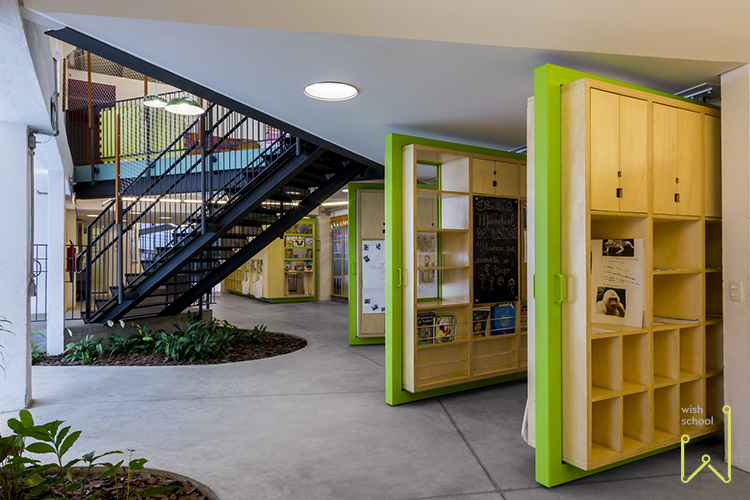 Rotational furniture "pods" inhabit many functions - from dividing space to containing storage and elements of play (with curtains for puppet shows). 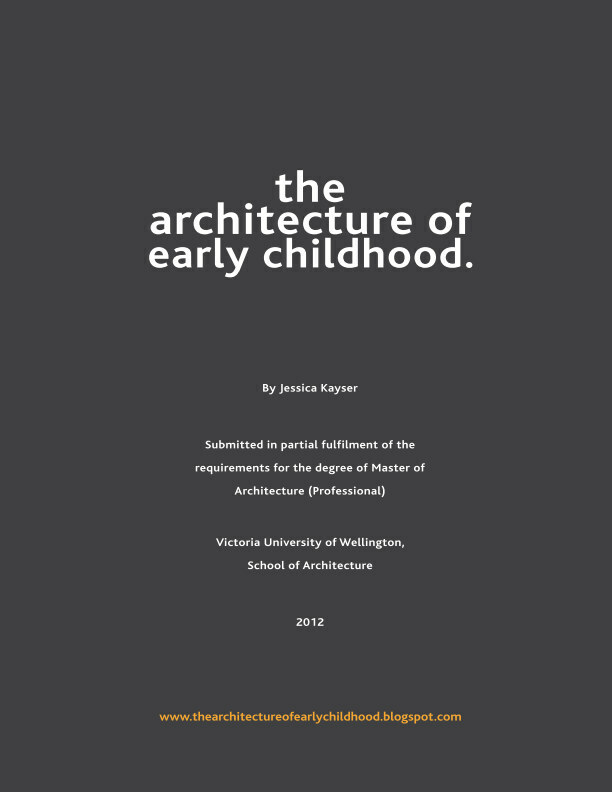 The architects collaborated with both students and teachers to define the brief and ensure the architecture reflects their powerful pedagogy. 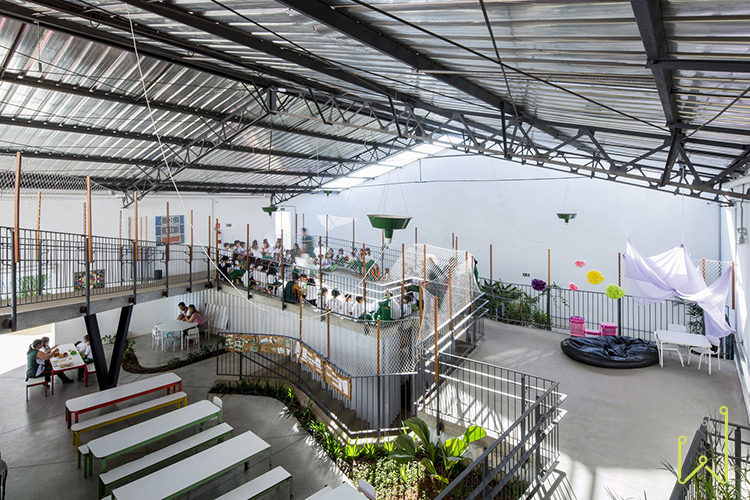 Designed by Grupo Garoa Architects the resulting architecture is a unique example of an intensive collaboration between the educator and their pedagogy (or educational vision), the children (or students) themselves and the designers. Careful consideration was paid to the building's transitional spaces (i.e. inside to outside) - creating memorable experiences when traveling from one space to another. 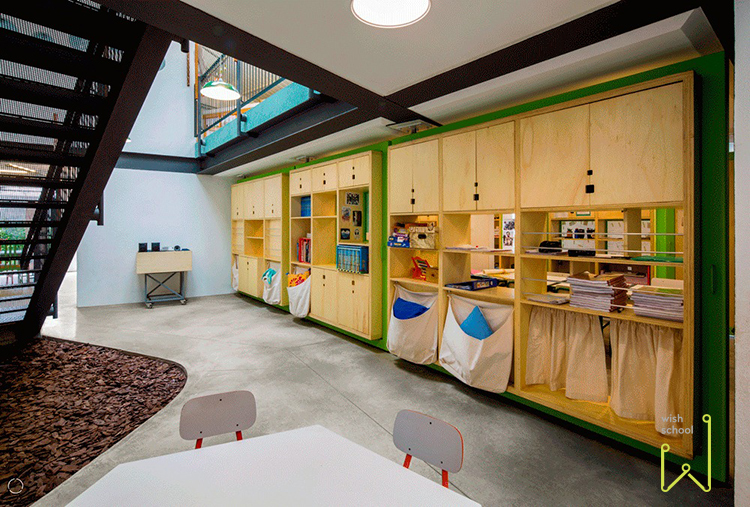 A variety of textural surfaces and materials are used indoors and out to enrich the childrens' learning. 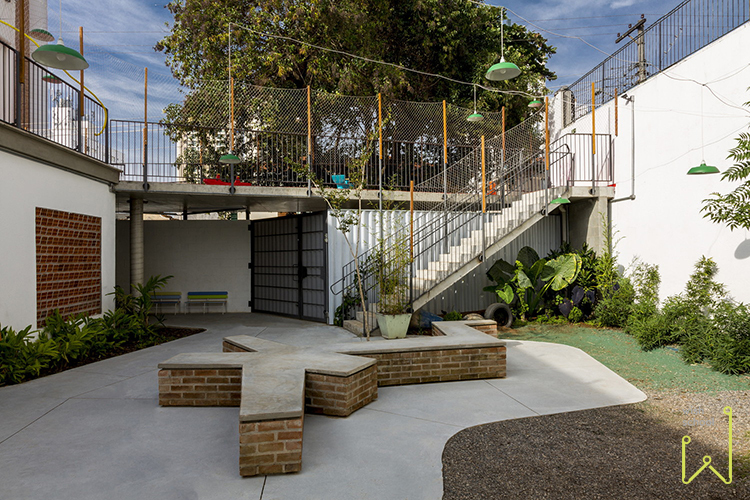 The architects worked within an existing shed-like and industrial building "container" - in which to "house" the pedagogical elements of "rooms" or room-dividing elements. 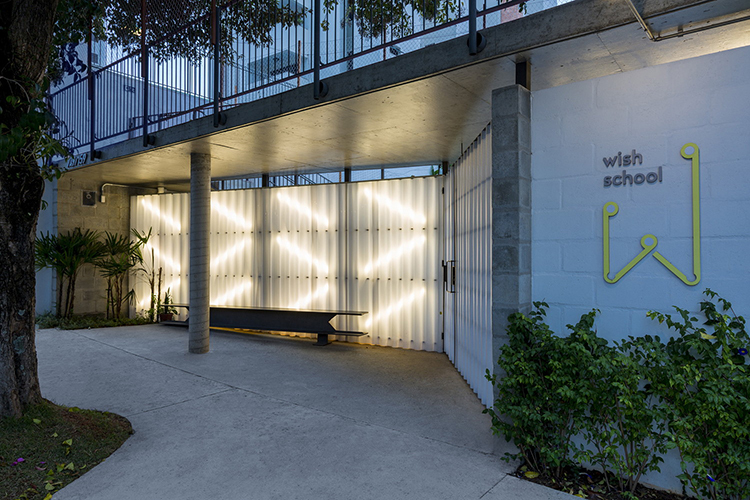 Rather than using traditional walls, ceiling and floors, zones were created through the use of informal furnishing "pods" which are cleverly fixed to the building's structural beams and are allowed to move or rotate as the spatial needs of the spaces are determined. Natural lighting is used to its fullest potential through the use of internal courtyards and atriums with skylights over. 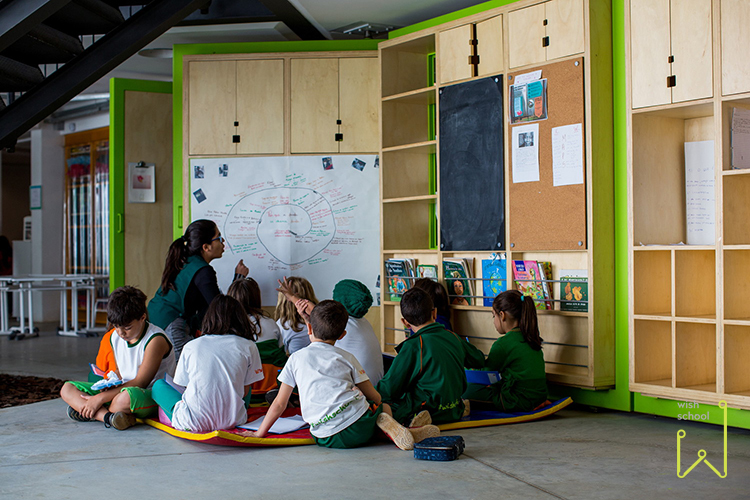 A variety of spaces cater for all types of learning - from group collective work to more individual or quiet. 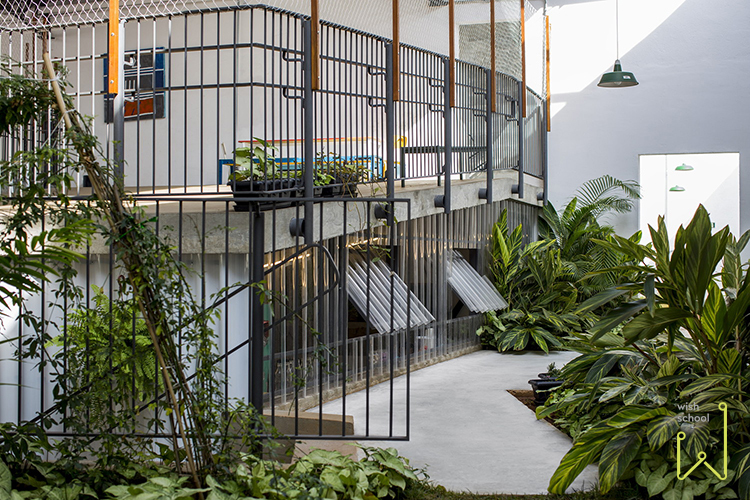 Physical and social interaction is encouraged with the diverse spatial arrangements, the many connecting stairs and atriums and blurred internal to external boundaries (with bountiful natural gardens, natural light wells, and courtyards).